Personalised hangers are the perfect gift for your bridal party, this tiffany blue inspired bridal hanger is covered in rhinestones, accented with tiffany blue wire and topped with a bow. This is the perfect keepsake for your 'something blue'. 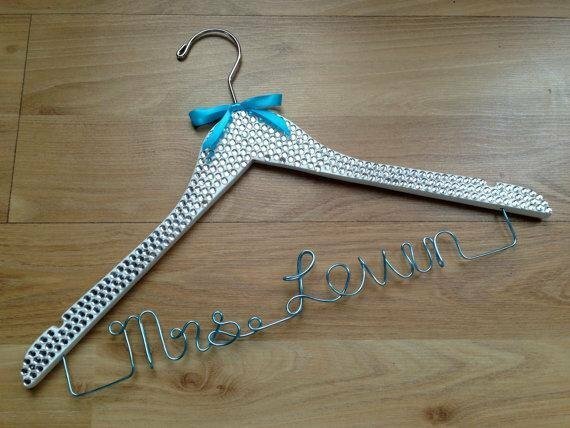 Picture shows: White hanger with custom text, tiffany blue wire & tiffany blue bow.